For an evening, a weekend or a longer stay in the Chamonix Mont-Blanc region, Megève, I come home to prepare your breakfasts, lunches, snacks and dinners. I adapt to your lifestyle and your schedule to allow you to spend a pleasant holiday without having to worry about shopping or preparing meals. The best restaurant really is at home ! Born in Chamonix, I worked in several renowned houses in Haute-Savoie, on the French Riviera in Geneva and Lausanne. But also as a Chef at the service of private clients. It is this rich experience in contacts and meetings that made me love this other way to exercise a cook. Enjoy your vacation, your Private Chef does the rest. In the friendly atmosphere of your chalet or apartment, your Private Chef is developing for you simple menus yet refined and inventive. His cuisine will be connected with what the fresh products the market offers, quality products to cook healthy and balanced meals, taking into account your wishes and possible diets. The Private Chef arrives at your residence three hours before lunch or dinner, having already shopped goods to achieve meals. Once all preparations are completed, the Chef will serve your guests. For more then 8 guests, one person will join to help for the service. At the end of the meal, the Chef will clean up the kitchen, dishes and will leave once everything is in order. You can also ask the Chef to prepare your breakfast before you go skiing or enjoying the mountains as well as order a wonderful tea time to please you when back home after a great day of winter sports! We are Joe Public advertising and we are a team of eight. Models, photographers, stylist, client and art director. We shoot twice each year for Rohan Outdoor Clothing and these shoots take us all over the world. I would say that the food this week has been the best we have ever had on a shoot. Lots of oohs and aahs from the crew. Highlights were amazing puddings which none of us had ever tried before, perfect risottos, fish dishes and amazing salads. Phillipe is relaxed and easy going and when plans change he has always been relaxed about it. 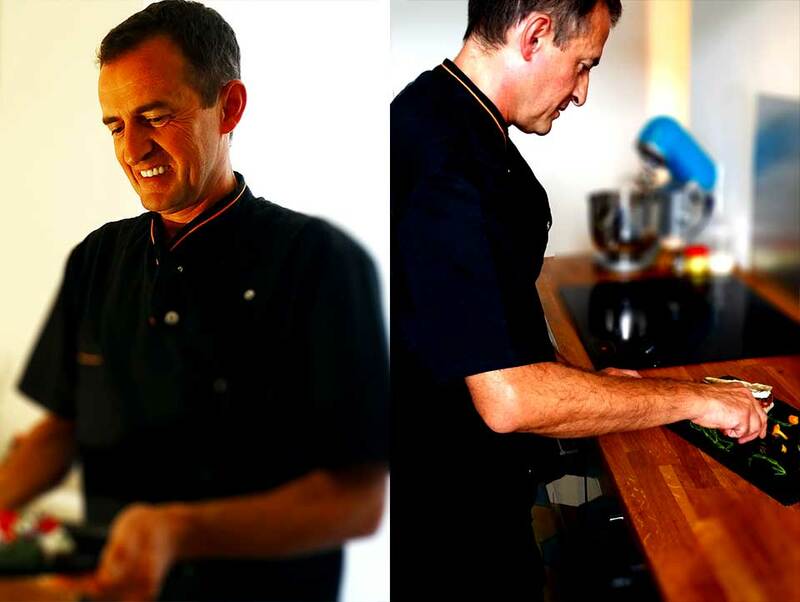 A top quality chef and a lovely guy, we will definitely book him again if we come to Chamonix. My company spent a weekend in Chamonix and Philippe came to our apartment and cooked a fantastic dinner. All courses were amazing and included local specialities and perfectly matched wines. We will most certainly book Philippe again. I had Phil come and teach some traditional cooking classes to myself and my new Fiance. He spent a lot of time preparing our meal for the night. We had an an amazing experience! Phil is a very talented and friendly chef! We learned a lot, and had such a great time. Next time we are in Chamonix we’re going to give Phil a call most definitely! !